Product packaging is a big part of marketing. A product may be of great quality but if the packaging is off the mark, then it will also miss the mark in terms of attracting and retaining customers. One challenge that manufacturers had in previous times is having to order packaging in bulk as offset lithography printing was the only option. This is a challenge that the technological advancements like digital printing have taken care of. 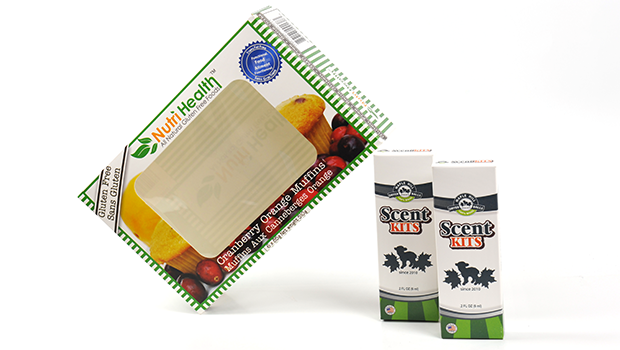 With digital printing, it is possible for manufacturers to order packaging in smaller quantities. They can also get the packaging done within a very short time. This is what is known as short run printing and in the case of packaging, short run packaging. Manufacturers can take advantage of this to test out different packaging ideas, changing things constantly until they get it right. This can make the whole difference between a product succeeding in the market or not. A good number of short run packaging companies offer minimum customization. The ideal company will be able and willing to customize the packaging as much as is needed. If for example, you are giving away samples or selling at a particular trade fair or event and want samples customized for this purpose with the event name and details, you should be able to get it. An ideal company will also be able to accommodate the need to expand as the product takes in the market. If the product is to be availed in the market in other sizes or if higher quantities of packaging are to be availed, the company should be able to handle it. Can an influx of orders be handled? Marketing endeavours are undertaken with the goal of getting a response in form of market share. You need a company that will be able to handle an influx of orders so that you can deliver your orders on time. Can order-as-needed situations be handled? Things are never predictable in business. The response to a marketing campaign might lead to an unexpected large order. Or, products branded for a particular event may not move as expected, making necessary a change of packaging for the general market. The company should be able to handle such situations as they arise. Does the company use and support environmentally friendly production methods? Many consumers are environmentally aware and they consciously choose products and companies that care to preserve the environment. Choose a short run packaging company that uses products that can be recycled and that also uses products that are recycled. In today’s modern era of digital printing, the company of your choice should be able to submit your orders online rather than have to make a physical trip to the packaging company. You should be able to submit your graphics and the details of your orders such as quantity online. You should also be able to make inquiries, see samples and interact with the company online and get timely responses. This shortens the time it takes to get the packaging order filled. As a small or medium sized company, you may not have an in-house graphic designer to come up with packaging ideas. It would be very convenient to deal with a company that offers comprehensive services, starting from design service to manufacturing of the packaging.